new album, "What Doesn't Kill Me…", which is scheduled for release on March 20 via AFM Records. The CD was recorded at Antfarm Studio in Denmark with producer Tue Madsen (HEAVEN SHALL BURN, DARK TRANQUILLITY, MOONSPELL, THE HAUNTED). "You can expect a very strong and punchy new EKTOMORF album," guitarist/vocalist Zoltán Farkas previously said. In addition to the standard CD, there will be a limited digipack which will include one bonus track. 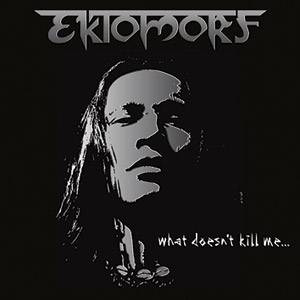 Furthermore, AFM Records will release a limited fan box containing the digipack version of the album, an EKTOMORF sticker and a necklace with the EKTOMORF band logo. The band's last album, entitled "Outcast", was released in October 2006 via Nuclear Blast Records. The CD was recorded at Antfarm Studios in Aarhus, Denmark with producer Tue Madsen and features a cover of the PRODIGY classic "Fuel My Fire".